The brutal recapture of Aleppo by Syrian government forces and its allies at the end of 2016 does not bode well for another enclave of resistance: the predominantly Kurdish area in northern Syria. 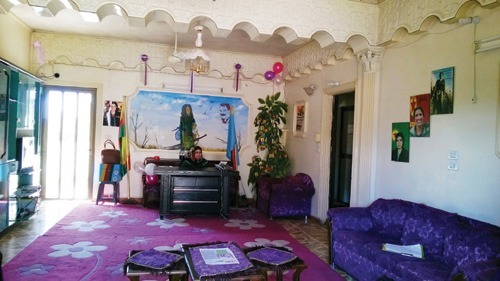 Here, in a long strip of land that runs almost continuously from east to west along the border with Turkey, a radical secular experiment with women in the driving seat has been under way since 2012. Most journalists are, understandably, preoccupied with the death, destruction and refugee stories that have come to define Syria. But it means that many politically engaged people in Britain have never heard of Rojava, the name Kurds give to this part of their homeland, the whole of which is divided between Syria, Turkey, Iraq and Iran. I was one of the last journalists to be allowed to cross the border from Iraqi Kurdistan in March 2016. The contrast between the two predominantly Kurdish areas in Syria and Iraq could not have been more stark. On the Syrian side, there was not a mall, billboard, skyscraper or motorway in sight – almost a rural idyll. The strangely treeless landscape was dotted with “nodding donkeys”; oil wells that explain partly why ISIS had attempted to establish its caliphate here and why Rojava will be bitterly fought over by all the regional powers. The entrance to and exit from every small town and village are guarded by checkpoints and there are concrete barriers in front of all official buildings, but there was none of the devastation that characterises the rest of Syria.